Set in the ’90s, the movie follows Carol Danvers, played by Annette Bening, “an Air Force pilot who becomes one of the universe’s most powerful heroes when her DNA is fused with that of an alien during an accident.” The character was first hinted during a post-credits scene in the blockbuster Avengers: Infinity War. Were you wondering where Captain Marvel was in the recent “Avengers” Infinity War”? I’m sure diehard Marvel fans were. She never made an appearance, but the post-credits scenes hinted she may be making an appearance next year in the new Avengers film. Captain Marvel’s standalone film is slated to release in March 2019, two months prior to the (tentative) release of the unnamed fourth Avengers movie. 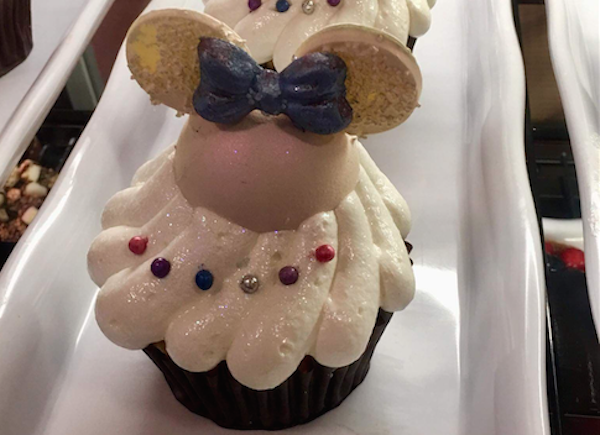 Disney’s Contemporary Resort Iridescent Cupcakes Are Dazzling!